In typically large-scale ambitious projects, Michael Landy has examined what we value and what we discard, consumerism and waste, and human labour and its worth. His projects – often one-off temporary events – are usually several years in the planning, during which time Landy produces drawings, collages and other related works in which he develops his ideas and processes prior to realising the final work. Landy’s practice stands out for its serious consideration of the social structures that determine worth at a basic level of consumption, monetary exchange and employment. 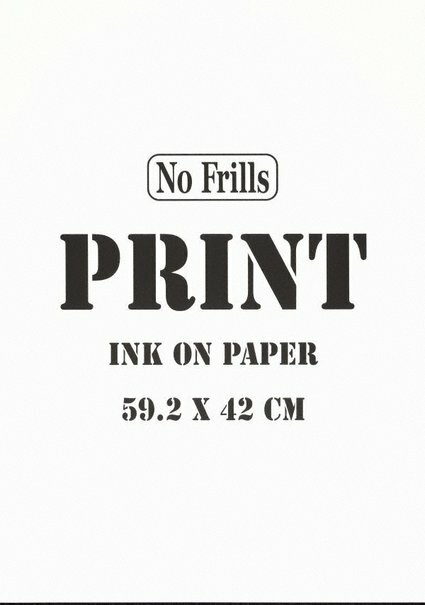 In the ‘No frills’ series art is reduced to self-descriptive consumer units recalling the most literal conceptual art practices. The works are as obvious as they appear; there is no more to them than what you see. But of course they also suggest the contested terrain of marketing-fed consumer desire versus consumer rights for low-cost alternatives to branded products. 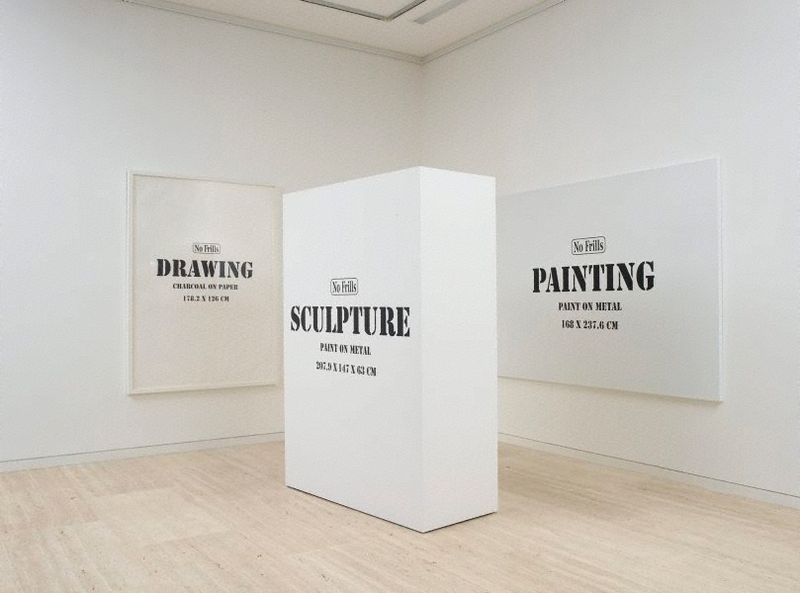 Within the context of the art market this series is a deeply ironic swipe at what the art-world values and why, and the artist as a brand. Signed and dated lower verso, pencil "... Michael Landy ... 2007". Michael Landy: everything must go! 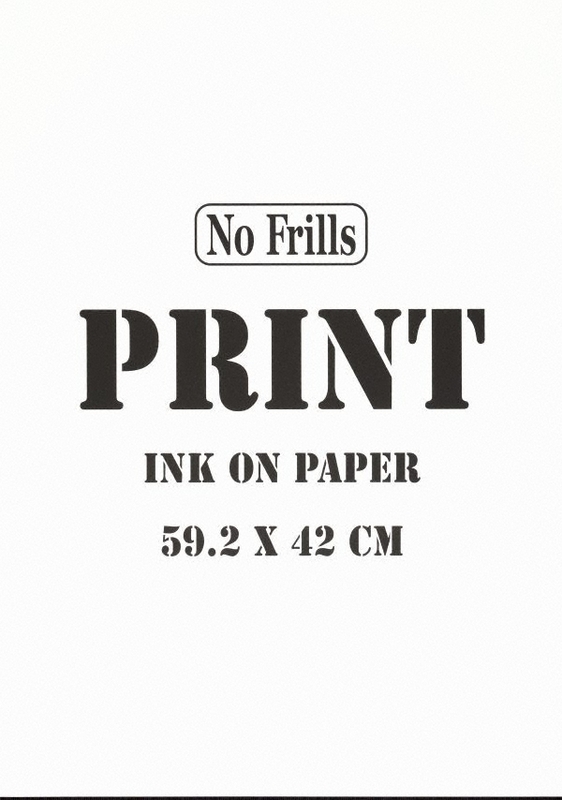 , 'No Frills, 2008', pg.376-379, London, 2008.